The presenters at the show I'll be watching will probably be wearing sweaters, scarves, jackets and horn-rimmed spectacles. But I promise you, the two big winners will appear on The Today Show on Tuesday. What I'll be watching is a live Webcast from the American Library Association's Midwinter Meeting. A number of awards will be announced, most notably the Caldecott and Newbery medals. 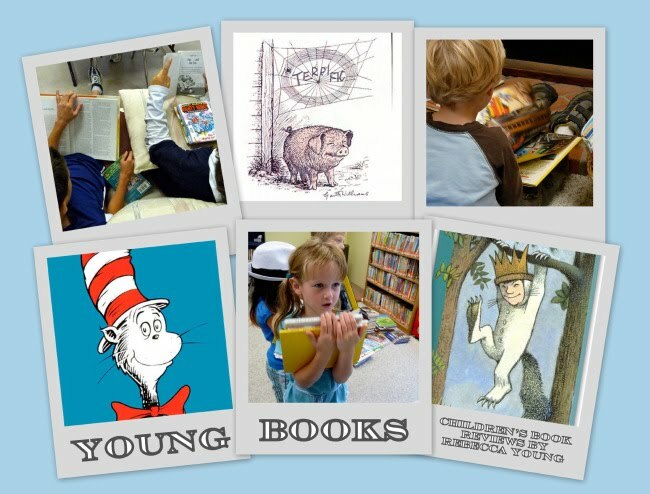 The Caldecott is awarded to the most distinguished American picture book for children. The Newbery Medal goes to the most distinguished contribution to children's literature. A newer honor, the Theodor Seuss Geisel Award, goes to the most distinguished book for beginning readers. I was able to attend an ALA awards announcement in 2007 when the midwinter meeting was in Seattle. It was exciting. Don't let anyone tell you librarians are quiet. Especially exciting was the fact that Seattle's own Laura Kvasnosky's Zelda and Ivy: The Runaways won the Geisel Award. If you haven't met Zelda and Ivy, you should. The Runaways is the fourth book about the funny and believable fox sisters. And Penny from Heaven , a lovely book by another Puget Sound author, Kirby Larson, was chosen as a Newbery Honor. Both got the calls early enough so that they were able to attend in person. Back to this year's awards: As long as I've been reading and writing about children's books, I've been pretty bad at predicting which ones would win the big awards. Unlike the Oscars and Golden Globes, there is no short list of nominees. Many libraries and bookstores hold "mock" Newbery and Caldecott votes. And those aren't all that great at predicting winners either. Anything But Typical , by Nora Baskin, a heartbreaking, heartwarming, humorous glimpse inside the mind of an autistic boy. I wrote about it for The News Tribune in May 2009. Another is When You Reach Me , by Rebecca Stead, told from the point-of-view of a Manhattan sixth-grader in the 1970s. I'm reading it today. As for the Caldecott, I'd be pleased and not surprised if either The Lion & the Mouse , by Jerry Pinkney, or All the World , by Liz Garton Scanlon, with illustrations by Marla Frazee, is the medal book. I would be shocked if neither is at least an honor (runner-up) book. The links to my Tribune reviews of both exquisite books are in the column at right. What about the Geisel? Well, Mo Willems has won two years in a row for two different Elephant & Piggie Books . He's brilliant. Could be a three-peat. Are you watching with me at 4:45 on Monday? You can sleep in and tune in at 7:45 if you're on the East Coast. Otherwise, show up here and I'll give you the scoop.